I mostly interview founders in the tech and software space but as you can see today, I sometimes venture outside that space when a guest is especially interesting. Today I’ve got Brian Tracy. He is the Chairman and CEO of Brian Tracy International, a company specializing in the training and development of individuals and organizations. He is also the top selling author of over 70 books. His latest is called Master Your Time, Master Your Life: The Breakthrough System to Get More Results Faster in Every Area of Your Life. 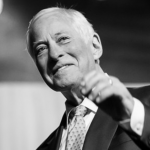 Brian Tracy is the top selling author of over 70 books. His latest is called Master Your Time, Master Your Life: The Breakthrough System to Get More Results Faster in Every Area of Your Life. Andrew: Hey, before we get started, I’ve got to tell you about two Mixergy fans. The first is a guy named Brian Harris, who I watched for years, blog on his website about different ways that companies were growing their audiences. In fact, he actually went through my email registration process, took screenshots of the whole process, dissected it and then put a blog post up on his site about how I grew my email list. Well, he had done this for a while and then he started to put out a course about how to grow a mailing list. Then he started putting out software about it, and now he’s got this thriving business where he teaches other people how to grow their email lists and he also has software to help them do it, all because he just started blogging as he learned. The reason I’m telling you this is that one of my sponsors is Host Gator and if you want to take Brian’s model, copy it and apply it to another product or business, I think it will still work, and Host Gator is a great service to use to host your site if you’re going to do that. Think about what’s exciting you right now. Even if you don’t know it completely, take that question, take that thing you’re curious about over to Host Gator and create an account. Within seconds you’ll have a blog set up using WordPress. Learn every day and blog about what you learn, and as you build up your following, you’ll have a ready-made audience that you can sell software courses to or whatever. I’m recommending Host Gator because they’re a hosting company that just works and it’s really inexpensive. Also, they have great tech support. If you want to sign up, use this special URL to get a big discount and also to come from Mixergy which means they’ll take good care of you. Go to www.HostGator.com/Mixergy. The second fan is a guy named Derrick Johnson who heard me talk about a company called Toptal. He was actually doing 20 to 30 interviews with potential developers, and it just wasn’t going very well, so he said, “You know what? Let’s try this Toptal company that Andrew keeps talking about.” He talked to them. They set him up with two interviews. Both developers were fanfrickintastic. He could have hired either one of them. He picked the one that felt the most right for him, started working with that person full time and then full-time plus. Today Derrick’s CTO says that the Toptal developer is CTO caliber. That’s what we’re talking about when I recommend that you hire people from Toptal. Go to www.Toptal.com/Mixergy and they’re going to give you 80 free developer hours when you pay for 80 in addition to a no-risk trial period. Go to Top, top as in top of the mountain, tal, as in talent, www.Toptal.com/Mixergy. All right, here’s the interview. Andrew: Hey everyone. My name is Andrew Warner. 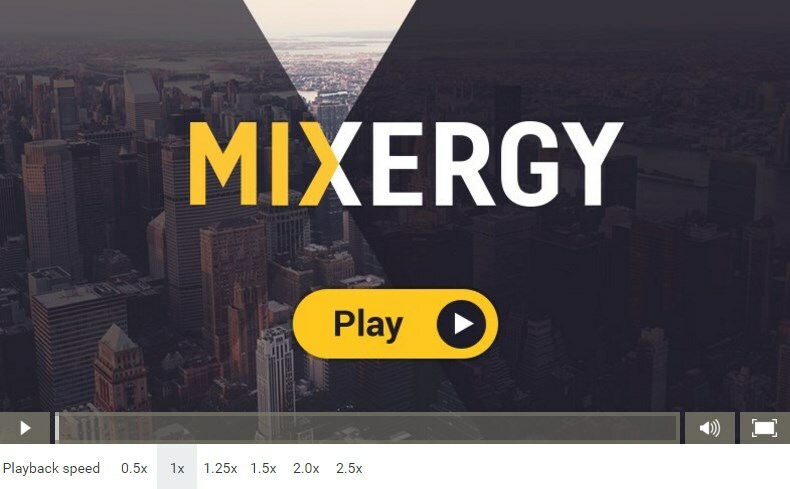 I’m the founder of Mixergy.com. It’s the place where I interview entrepreneurs about how they built their businesses. I have been doing this for over 1,300 and actually very soon, 1,500 interviews with entrepreneurs mostly in the tech/software space, but as you can see today, I sometimes venture outside the space when the guest is especially interesting. I’ve got with me today Brian Tracy. He is the Chairman and CEO of Brian Tracy International, a company specializing in the training and development of individuals and organizations. He is also the top-selling author of over 70 books. There’s a good chance, if you’re listening to me, that you’ve read at least one of his books. His books have been translated into dozens of languages. His latest is called “Master Your Time, Master Your Life: The Breakthrough System to Get More Results Faster, in Every Area of Your Life.” Brian, welcome. Brian: Thank you. It’s a pleasure to be with you, Andrew. Andrew: I’ve known your books for a long time, but I’ve been curious about the business of Brian Tracy, so I went on your website today to see what you do. One of the things I saw that you do is you travel and you actually give talks around the world. I saw Russia. I saw Iran. How many countries have you visited in the last year and how many days are you out on the road doing this? Brian: I just came back from a 7-week trip. In October alone, I spoke in 18 different countries, plus I spoke in September and in November, plus I will continue to speak, so I’ve spoken now in 80 countries. Andrew: Eighty different countries. So would you say about half of your year is spent on the road speaking to companies and other organizations? Brian: It’s about 150. I’m very well organized, as you can imagine from the book title on mastering your time, so what I do is I compress. I will go on a speaking trip, like this was 53 days and there were about 27 speaking engagements in probably 20 countries, so my time is extremely well organized and very efficient. Andrew: I’m imagining that’s a big part of your business, getting paid to speak. What else is going on in the organization? What else do you sell? Brian: Well, at one time I was the top-selling audio author in the world for about 15 years, as a matter of fact. I still don’t know where I am now, but I outselling it was in the neighborhood of 15% of world nonfiction or personal development audio programs in the world and those are now translated into dozens of languages, as you said. Andrew: I used to buy your CDs from Nightingale Conant. Brian: Yes, and before that they were cassettes. It’s the most amazing thing. I designed a seminar and began giving it and then I recorded it. I had somebody sit in the front row with a cassette player and stop, start and record it. Then I sent it to Nightingale Conant at my wife’s urging and they said, “We’ve never heard anything like this. We’d like to produce it,” and it became perhaps the bestselling audio program on success in the world in history and it’s now rolled into 38 languages. Andrew: More than Tony Robbins “Personal Power” collection? Brian: Much more. Tony does far more in seminars. He’s just the greatest seminar promoter, but in terms of audio programs, where his were selling 100,000, mine were selling 1 million. Andrew: Wow. You still sell that, you still sell the books and you also have a training program where I could hire a certified Brian Tracy trainer to come to my company and help train us in time management, communication and those kinds of skills, right? Brian: I wrote a program called “The Psychology of Achievement.” It became the bestselling audio program in the world and rolled out worldwide. I then recorded it on video and then recruited about 150 different trainers; again, worldwide and in multiple languages, who were teaching. I had 300 centers in China alone, just teaching “The Psychology of Achievement.” It was a very popular program. Then they said “Well, what about selling? Selling is such a hot program,” so I sat down and wrote a program called “The Psychology of Selling,” which went on to become the bestselling audio program on sales. Andrew: That’s what you do. You record the program and people like me get to buy it. I remember my boss recommended one of your CDs to me, so I bought it myself and I listened to it. Then you also teach people how to teach it to their customers. That’s the model. Brian: I record it. I’ve recorded almost 1,000 audio and video programs and then I put them together and I facilitated training programs. Then I teach trainers who go into companies to train them and then I assign other people and do joint ventures. I can’t even keep track of it anymore. Basically, I’m a speaker. I design really good talks that are high content, I record them and they sell as audio programs. I shoot them and they resell as video programs and then I continue to do seminars based around them. Andrew: This is so craft accepted. This is my job, so tell me if this is inappropriate for me to ask, but what kind of annual revenue do you do with this business? Brian: Well, if you do gross or net. If you do my own personal income, I wouldn’t tell you that, but it’s a lot. Then if you take all of the other companies, like I have promotional companies that will sell 1,000 tickets at $500 apiece just on this trip alone and I may have 20 different promoters who do that, so if you take 1,000 times $500, that’s $500,000. I do seminars with those people multiple times each year, so you can start to add it up. There’s always a big thing between gross and net. I’ve sold probably $500 million worth of audio and video programs, plus seminars, maybe even $1 billion. It’s hard to keep track. Andrew: In the last year, is it fair to say that to you, it’s over $10 million from the speaking engagements, the books and the CDs? Brian: It would be fair to say that is how much has been generated from my talks. I don’t get all of that, but I don’t not get it. The main thing, if you’re in business, is that you want your promoters and your distributers to be profitable. You want them to make a lot of many and so many people — more than I can count — have become millionaires promoting my seminars. Andrew: What they do is they bring you in to speak, they sell tickets to their local organizations and they keep the difference between what they pay you and what they generate. Brian: For example, the royalty structure in a business like this is about 15%, so let us say they sold a $500 two or three-day video-based training program with workbooks and so on. They would pay me 15% of that. Brian: Yeah, and they would keep the balance, so that’s good. The people who do the sales and marketing really should be paid the most. There’s a different deal here. They’ll videotape a live seminar at a major university and then they’ll resell that and they’ll charge for that. Andrew: And you’ll get a percentage of that too. Brian: I’ll get a percentage of that, but as I say, without exaggeration, I’ve got close to 1,000 different programs of different kinds, plus 80 different books and each one of them has a different deal. Brian: I just had back surgery yesterday morning. Andrew: Did you have it before? Brian: It was three and a half hours and I got out of the hospital about an hour and a half ago. Andrew: And you’re here still with me. Brian: I’m here with you. Andrew: Why didn’t you blow me off? Why, at 72 — if Wikipedia is right, you’re 72 — why are you still doing this? Brian: Well, because I committed to it. Andrew: What about the other stuff? Why do you still keep adding to your commitment every year? Brian: Let’s go right back to the beginning of your questioning. Why do I do what I do? The answer is, I started off poor. My family didn’t have any advantages or money and I didn’t graduate from high school. Then I discovered that there is a success formula for everything, including what you do. The formula is like a complex recipe in the kitchen. It takes a lot of ingredients in different quantities to make different dishes. Well, I discovered that when I was about 24 and I just about fell off my chair. I died and went to Heaven. I couldn’t believe it, because up to that time, I thought that success or failure was just luck, coincidence, or who knows? Then I realized that it’s very much under your own control, so I began to focus on this and I thought, “Ha!” With these ideas and within about 18 months, I increased my income by 10 times. Andrew: What were you selling at the time? Brian: I was selling bonus books for restaurants, I was selling advertising and I started to sell mutual funds and personal financial planning. Then I began to study and read everything I could find on sales. Then I got into sales management and I studied and read everything I could find on sales management, so I build a 95-person sales force. I went from sleeping on the floor and two years later I had increased my income 10 times and had 95 people selling for me in six countries. None of it was MLM, by the way. It was actually people that I recruited, trained, taught and worked with and they then went out and became very successful. I thought this was like a miracle, so ever since then, not only did I want to apply it to myself, but I wanted to share it with others. It’s just like if you came to me and you were thinking about getting into this business and I was an expert in the business, I would want to tell you all about it for one reason. It’s that I would want to help you shorten the learning curve. Basically, that’s really been my philosophy, shorten the learning curve for myself so I can achieve success far faster than struggling and struggling. Andrew: What is that formula that you discovered back then? Brian: For instance, I prepare Caesar salad. I used to go to restaurants, and then one day I noticed that the waiter that was preparing the salad was not a genius, yet he was preparing the salad because he had a recipe for prepared in the kitchen. He came out to the tableside and mixed up the recipe and I thought “Wow! This is how life works. It’s got recipes.” So everything I’ve ever gone into; sales, sales management, business, I just did a 14-book series on management. It’s about leadership, hiring, firing, delegation, supervision, innovation, creativity, marketing and every single subject that are the 14 most popular subjects in time management. I did my research. If I’m going to do it, what are the most popular subjects? Then I just buried myself in the subjects for hundreds of hours. I would say 150,000 hours of my life. Then I sat down and I wrote out a recipe for every one of these subjects and put them in audio, video and written form. Andrew: Do you read the books on it? Brian: I study and teach. Andrew: I see. What about this? It seems like a lot of the books that you read are self-improvement, motivational books as opposed to more research. Here’s an example. In your book “Goals,” you reference Mark McCormick and his book, “What They Don’t Teach You at Harvard Business School” and a study in there. It says, “There was a Harvard study conducted between 1979 and 1989. In 1979, the graduates of the MBA program at Harvard were asked ‘Have you set clear, written goals for you future and made plans to accomplish them? '” It turns out that three percent of the graduates had written their plans out and 13% had goals, etc. Then 10 years later, in 1989, the researchers interviewed the members of the class and they found that the three percent of graduates who had clear, written goals when they left Harvard, on average had 10 times as much as the other 97% of the graduates all together. Why not research Harvard? Why go to Mark McCormick’s book? Why not talk to Harvard directly to get that study? Brian: First of all, there are some people who could spend hundreds and thousands of hours doing research, sending out surveys and phone calls, etc. I simply don’t have the time for that and neither do you, so what I do is I read voraciously. I’m what is called an eclectic reader. I read everything. I read HBR, “Harvard Business Review,” but I read book after book and take notes and I read newspaper articles. I’ll give you a simple example. I read “Forbes.” “Forbes” had an article in one of their magazines six months ago. It says that according to a recent survey, 80% of the reason why products fail is because customers simply don’t want them. Now if you take that little one liner, basically what you have is the reason for business success or business failure. That embraces 100,000 books and all the university programs. It’s all summarized in one paragraph, which is reported in “Forbes,” which is reported from a piece of research, which is reported from something else. I don’t have to sit and do hours of research, go to people and question them and so on and I don’t have the time or the energy anyway. Andrew: Isn’t that just an anecdote that then it’s hard to extend to the rest of business? Brian: No, because you could find, for example, the interview “Self-Made Billionaires.” The number, by the way, has gone up amazingly, but two years ago, about 67% of billionaires were self-made, the same as millionaires. Now it’s 87%. If you ask self-made billionaires, people who started with nothing, “How did you get here? Why do you think you made it?” They’ll say “Well, Number 1, I had very clear goals. Number 2, I was continuously learning and trying new things. Number 3, I was willing to take risks. Number 4, I was constantly networking and meeting other people.” They interviewed these 2,437 billionaires–87% are self-made–and if you question them, this is what they tell you, so you just pass it on. It’s just like if you hear a good joke or story. You pass it on. You don’t have to go and research the life of the writer, the director and the producer, and so on. The other thing is that these points are intuitively true. You listen to them and you say “Well, this makes sense” or “This is not particularly deep,” but you know that 97% of people don’t know it. If you tell them that if you have clear, written goals and plans, you’ll increase your likelihood of achieving your goals by 10 times as opposed to having no goals or plans. Let’s take a very simple example. Let us say that you decide you’re in a new city. What city do you live in? Andrew: I’m in San Francisco right now. Brian: You’re in San Francisco, so you decide to go to Dallas and somebody says “There’s a really good restaurant in Dallas. If you’re going to go to Dallas, go to the restaurant” and you say “Okay.” You’ve rented a car, you go out and get in your car and you just start off. Well, how long is it going to take you to find the restaurant? Andrew: If I just get in my car without knowing where it is and what the map is, I’m never going to get there in San Francisco. Brian: That’s why 97% of people dramatically underachieve their potential. When you write down a goal, for example, it’s like a GPS system. Your mind is like a GPS system. When you write down a goal, you’re actually writing it into your subconscious mind, not typing, but writing. Again, it’s in the new “Wall Street Journal.” I’ve been following these studies for more than 30 years. When you write something down, you’re writing it into your subconscious mind. Your subconscious mind then activates the Law of Attraction plus about 31 other laws and you start to move toward the goal and the goal starts to move toward you. The most phenomenal things happen, but if you don’t write it down, nothing. It’s like if somebody says “There’s a good restaurant,” and you say “Great” and don’t write it down. You forget the name and you forget the address. Andrew: Brian, the reason that I bring it up is, first of all, that Harvard case study actually ended up being discredited–I see you nodding, so you know it–and other self-improvement books have talked about it with Yale as the example and again, it wasn’t a Yale study. It feels true, but when I do my interviews here on Mixergy, I look for that. I look for people to tell me that they wrote down their goals or they had a clear path. What I find instead is a very winding process, where the end couldn’t have been predicted by the beginning. For example, yesterday I interviewed an entrepreneur who sold his company to TeleNav. When he started out, he had this vision that he was going to create a simple, navigational device. He realized he couldn’t do it, so then he moved to an app that did navigation. Then Google came into that space and he couldn’t compete with them, because Google was giving their stuff away for free and he had to charge. Then he realized, “You know what? There are open street maps and a lot of other companies want to use open street maps for their data. I will sell this to other companies instead of individuals.” The end was so far from where he started that he wouldn’t have gone on this path if he knew he was going to sell to companies this way. I find that a lot of my interviews are like that, so I don’t know how to square that with what you and others are saying. Brian: I’m glad that you said that, because there’s a man named Dr. Robert . . . I’m a little bit uncomfortable. Andrew: Thank you first of all for coming and doing this interview in the first place and thanks for answering these questions that I’ve had for years. I really appreciate it. To get your MBA, you have to do a complete business startup. What they do is they go out and work for another company and never start a business. It was Dr. Robert Ronstadt. Then they looked at the 10% who did start a business, and they found two or three interesting features is that the most important thing they did is they launched. In other words, the key to their success is they just launched. The other 90% were always waiting for things to be just right. They had the degrees, they were trying to start a business, they always had this plan, but things were never just right, so they went to work for wages. They were good wages, like on Wall Street. Then they looked at the people who did start. They said the Number 1 thing was they launched. Here’s the second thing they found and I love this stuff. He called it the Corridor Principle. He said that they started down a corridor and at the end of the corridor as far as they could see was business success with this particular product or service. They started down the corridor and then something happened; a door appeared, the bottom fell out, the market collapsed and it didn’t work out, but at the point another door opened up to their left or their right and there’s another corridor, so they started down that corridor. As they went down that corridor, they said “Aha! This is how I’m going to make it,” and something happened, the corridor was blocked and then another door opened to the right or left. They kept doing this almost like a maze and going left, right, forward back and everything else, and eventually, they arrived at their goal of business success. It was so many coincidences and unpredictable. He said that new corridors kept opening up and they achieved their success in an area totally different from what they had anticipated. This is Robert Ronstadt’s work at Babson and he said that the most important part of all was the launch. This is the kind of stuff I love to teach, because it is so consistent with your experience, my experience and the millionaires’ and the billionaires’ experiences. What was the turning point is that they just up and did it. They just launched. Andrew: Doesn’t that also support the point that we can’t have a clear, written goal and achieve it, because doors open up out of nowhere, the bottom falls out of markets and we can’t predict it? Brian: Yes, the answer is very simply this. Be clear about the goal, which is financial success and be flexible about the process of achieving the goal. That line is worth its weight in gold. Inversely, is guarantee your success in life. Be clear about the goal, which is to be financially successful, but be flexible about the way of achieving it. Brian: If you have that and then you realize that you’re probably going to achieve your goal in a completely different way than you expected. One of my favorite lines is a spiritual line. It says, “Difficulties come not to obstruct, but to instruct.” I was just teaching this to a large group recently. I was talking about crisis management and problems with crisis management. I said, “Is it a problem or is it an opportunity? Is it a problem or is it a fact?” So, your whole business goes to hell and it collapses, the economy goes sideways and Google comes out with free maps and so on, is this a problem or is it fact? Well, first of all, it’s a fact. The second thing is, is it an opportunity? It’s an opportunity to do something different, so it forces you to do something different. If you look at your successes, almost invariably you’ll find that your success was preceded by failure. Again, this is what Napoleon Hill found out in 1922; that your biggest success is preceded by your biggest failure. It’s at that point that the average person says “The heck with it” and decides to quit, but the superior person says “No” and they keep pushing and they keep going down different corridors. Andrew: About how you write your books . . . you just keep picking up these anecdotes and research and the study and accumulate them into a book like this one about mastering your time. That’s when you publish it and when you do, how do you keep track of all these anecdotes and studies? How do you organize them? Brian: This is the books we’re talking about here. Andrew: That’s it, right there. I’ve got the digital, so I keep pointing over to my other computer, which no one can see. Brian: Okay, here’s “Quiet Time,” the 10th chapter. I am a voracious student and synthesizer. This is how many pages, 226 pages. I wrote this book without notes. I just sat down and began writing it from the beginning to the end, the outline and so on, because I had built up such an incredible mental storehouse. I read an average of three hours a day. I have read stuff that you can’t imagine. Just look behind me from where you are there and look at the books. All those shelves are double shelved. This is just one office. I have several stacks of stuff everywhere, so when I sit down to write, I’ll reach a critical mass and I’ll say “That would be a great subject,” so then I begin writing it. I have a process of writing, which I teach. Andrew: Can you give me a little bit here just so I get to know your process? Brian: What I do is I come up with an idea. For instance, the title of this book was going to be called “The Times of Your Life” and the publishers said “Master Your Time, Master Your Life” would be better and I don’t disagree. I found when I was doing coaching for business owners many years ago, that there are several different times, like here when it’s strategic planning and goal-setting time. That’s a very different time from family time. It’s a very different time from quiet time. It’s a very different time from work time, productive time or learning time. Each of these times requires that you almost shift gears into thinking a slightly different way. The biggest mistake they make is they say “I’m going to have quality time with my family.” No, what your family requires is face-to-face, head-to-head, knee-to-knee time. The only kind of time that is of any value to a family member is that head-to-head time and that’s the only time that women or children value. If you’re saying “I’m at home every night,” but you’re working on your computer or watching television, I’d say you might as well check in at a motel downtown and spend the night at the motel, because you’re of no value at all to your family. Andrew: I guess they do want your attention. Brian: That’s where the richness of personal time comes. Andrew: When you actually sit down to write, you’re that obsessed. You’re focused on the writing the way you are on your family when you’re with them. Andrew: I’ve heard that you write on airplanes. Is that what it is; that there are no distractions? Brian: Actually, that’s not true. I’ve written 80 books and one of the reasons why I’ve written that amount is because I’m very good at obtaining my deadlines. I ask them what the drop-dead date will be and they tell me, so I promise them I’ll have the book done at that time. Only a couple of times have I run so far behind because of my schedule that I’ve had to write on planes. It’s better that I write here. Andrew: I see. It’s the easiest. Brian: Yeah, I write in my office where it’s quiet and private and I turn off all the sounds. Another thing is if you work uninterruptedly on something creative, you actually reduce the time that it takes to do it by 80% and you dramatically increase the quality, because you make fewer mistakes. For example, you cannot do work work and creative work at the same time. You can’t talk to your friends and switch back to your email. You can’t work at a task or project and then switch back to your iPhone. What happens is it takes you five times or maybe 10 times longer. Maybe you’ll get nothing done. You and I have had the experience many times where we’ve said, “I didn’t get a damn thing done today. I’ve been working all day, I didn’t get a damn thing done and I’m exhausted.” This is all explained physiologically that studies, and I read all these studies, so when I teach this, I have people come up to me at my seminars, like last week, and say, “I never heard that before and nobody ever told me that you can’t do several different types of tasks or multitasking.” So what we find is there’s no such thing as multitasking. There’s only task shifting. If you’re working on a project, it takes 18 minutes after you switch to check your email to switch back to the project. Andrew: You’ll sit in your office and you’ll write the book. When you think of what the book should be about, is it market demand that drives that? Do you start to see that there’s an opportunity to give more talks about time mastery and so you say, “I need to write a book about this, so I need to get my thoughts in order so I have something to present to people?” You’re smiling. Am I off base with that? Brian: No. I’m smiling because I don’t want to be too serious when I’m looking at you which is very easy for me to do this week. Andrew: Okay, I thought maybe I was completely off base. Brian: I believe I was really blessed–and I’ve said this many times–that you can learn anything you need to learn to achieve any goal that you can set for yourself. When I learned that when I was 24, it was to me such a revelation and such a blessing. What that meant was that there are no limits to what you can do in life. When I would want to learn to sell or manage many years ago, I loved goal setting and corporate goal setting is strategic planning, so I said “Darn, I would love to do strategic planning.” Then I heard somebody in a throwaway line say “The highest paid people in business are strategic planners.” Companies pay them the most because the multiplier impact that a strategic planner has for a company is so high. I thought, “Well that’s a good reason to learn to speak strategically” and within two months, I was asked by the Executive Vice President of a $1 billion company if there was anything that I could do. I had done a seminar at an annual meeting on management effectives and they said, “Is there anything else you can do?” I said, “Yes. I do strategic planning for large companies” and they said, “Well that’s quite interesting, because we have talked about that. We need to do a strategic planning program,” so they went to the president of the company and we went through a very interesting process where they decided to retain me to do a strategic planning process. I went out and read a dozen books on the subject and I put together a complete process, which is a synthesis. I took them all apart to a resort for a 3-day retreat. I took their top 20 executives for this $1 billion company. We had pre-work, we had exercises and we had every single subject you need to consider. For three intensive days, we worked on developing a strategic plan for this company and they were just ecstatic. They said, “This is the best three days.” A lot of these people were scattered all over the country and for some of them it was the first time they’d actually sat in a room talking, sharing ideas, having lunch or coffee, meeting for breakfast or exercising. It had an almost transformational effect on the company. I had never done that before, but I decided I wanted to do it–goal–and then I studied it. In the land of the blind, one eye is king. If you’ve studied a dozen books on time management and you write them all out, then they had never done it. Now I’ve done strategic planning. The biggest company I ever did it for was $72 billion and 122,000 employees. I did a strategic planning program for a company with 152,000 employees and 22,000 branches. Andrew: And you’re teaching them how to do strategic planning within their part of the company? Brian: That’s another great question. My previous book about time says that I believe your ability to think clearly determines the quality of your life. I love your questions, because your questions are very thoughtful and they’re stacked based on a lot of experience that you’ve had and a lot of reflection on your experience. Aristotle once said something I’ve never forgotten. He said, “All of wisdom is a combination of experience, plus reflection.” If you have experience, but you don’t take the time to reflect on what happened to you and what you learned, then you don’t develop wisdom. You just have repeat experiences. I appreciate your philosophy. My thought is if you learn to think better, you make better decisions. When you make better decisions, you make better actions. With better actions come better results and better results transform the corridor of your life. My last book was called “Get Smart.” It was going to be called “Thinking for a Change” and it was 10 different ways of thinking, how top people think and how average people think. I’ve had people say to me as the book literally was coming off the presses “OMG, this book should be in every high school in America if not the world, because it teaches people 10 critical ways to think to really have a great life; to really master your life and they’re really simple, little twists. I say it’s sort of like a combination lock. If you get one number to the right or to the left, the number doesn’t open, so if you just think a little bit differently in a particular way, it could transform your life. Andrew: The next thing you do is we talked about how you train people who then go on to become trainers. What’s your process for finding them, training them and helping them get work? Brian: Basically, I delegate it all out. People come to me. Somebody came to me–actually, it was a very successful Amway dealer–and we had him come in and do my 2-day seminar for several hundred of his people. He said, “You know, you could put this on video, we could combine it with workbooks and our distributors could give it to their distributors” and that turned into a worldwide business for 30 years. Then they started to appoint other people who appointed other people and then they had multi levels. Then they had company managers and then they had translators into different languages, so it just grew, as they say, like topsy. Andrew: I see, but you don’t manage that business; he did. Brian: No. I started off in the US. After he did it in Canada, I took it and I built a complete US business for about seven or eight years. I recruited people all over the country, brought them in, trained them thoroughly or brought in trainers who trained them and managers and we built a multi-million-dollar business and then it started to roll out internationally, so I then have a couple who distribute it worldwide. They find distributors in a country, for example, Russia, Germany, Sweden, Italy, China and Japan. It goes on and on and these people will then translate it into their languages and there will be an exchange. They will have a reduced royalty, so they recoup their translation costs. It’s different with every one, but the end of it is I’m so grateful that I was able to succeed after struggling. I was working on a farm during the harvest when I was 23. I was so grateful for that and I wanted to share it with other people, so whenever I find a subject that I think will really help people, I will pounce on it and I will spend 200 or 300 hours. I’ve got a program here. It’s called Business Model Innovation. What I found to be the most important single thing–I think, almost to the point of being I want to run around in circles–is Business Model Innovation is there’s 55 different business models. I’ve been immersing myself in this for almost three years. They account for 90% of all businesses. Most business models are the Profit Model. It’s sort of like a recipe. There’s a series of ingredients that you mix in a certain way and out the end comes the dish. Well in a business, they do a certain series of things in a certain way and out the other end comes a profit. This is not just me; it’s “Harvard Business Review,” it’s “Wall Street Journal” and “Fortune.” Most businesses are using a partially or totally obsolete business model, and when the business model changes, you know, you see those cartoons where the parade is going down the street and they turn one direction, but the parade leader keeps going down the other street, think of that picture. It’s amazing that 70% to 80% and if you’re in the information business, including your business, there’s about a 90% chance that your business model is obsolete. How can you tell? This is wonderful stuff for a seminar. In the year they came out with this, 2007, Blackberry reduced their R&D budget by 50% because they said, “We are so far ahead in the market today, we don’t even have to spend money on more research. We just keep on doing what we’re doing.” Five years later, they went from 50% to less than 1% market share and were gone and then five years later, Nokia vanished. The biggest cell phone manufacturers in the history of the world were gone in five years because the business model changed. When something like this happens; technology, information or competition to your business model changes, if you don’t move fast, you can be out of business. You can be the world leader and gone in five years. Andrew: I’m looking at a chart of Blackberry’s revenues after the launch of the iPhone and it just climbed. 2009 was bigger than 2008. 2010 was bigger than 2009. 2011, four years after the iPhone, was their highest revenue, $20 billion in revenue and then it started to go down. By the time it started to go down, it was too late to change it. Brian: That’s exactly right. You know the Momentum Principle from Sir Isaac Newton. If they had momentum and the whole world, including myself, I was using a Blackberry for five years after the iPhone came out, it was picked up by younger people, the first movers. Andrew: What I mean is that if what you’re saying is you know that there’s a problem if you have lumpy revenues running up and down or if you’re starting to go flat or down, but in this case, they had a problem and the revenues still went up with the Blackberry. Andrew: It sounds like the bigger point is you’re saying that you look for patterns and once you figure out the pattern, that’s when you write it down. That’s when you find the research that explains it. That’s when you find the anecdotes that support it and then you teach it in books, in seminars and then ideally, other people work with you to do it. Brian: I fell in love with Peter Drucker when I was just struggling. I wasn’t a college graduate, but somebody said, “Have you ever read Peter Drucker?” and I did. I read everything he ever wrote and sometimes two or three times. I would take Drucker and a big school notebook and I would go through and read the book and underline. Then I’d go through and I’d hand write my underlines. Then I would review them a couple of times a year, so I sort of immersed myself like teabags in Drucker. One of the things he said–some things he said just stuck with me–is, “The most important thing in business is not the event; it’s the trend.” It’s not the single event; it’s the trend. I think somebody else said this, so I pushed these two together. He called it the tip-of-the-iceberg theory. Now, if you look at it as an iceberg, they say that the sailors . . . and this again is Earl Nightingale. This is my synthesis. Earl Nightingale said that these sailors used to be astonished. They would be sailing with the winds toward the north and go past an iceberg that was sailing towards the south. There were powerful northern winds driving the ships north and here’s the iceberg sailing south. This is a beautiful little analogy. They said, “How could that be?” He said that they didn’t know at the time that only 10% of the iceberg’s surface was above the water. The other 90% was in the deep ocean currents and the currents were pulling the iceberg. All that was on the surface was the wind as the current. There’s a three-percent rule, by the way. It’s another whole school of thought. If there’s a three percent possibility that this is the tip of an iceberg, take it really seriously. Take it seriously and then, instead of dismissing it, work to disprove that it is a trend. Then you look at the scientific method. What is the scientific method? The scientific method is always to use a negative hypothesis. I got an MBA in my 30s, by the way, but I had no education. A hypothesis would be that things fall down. Now, in order to prove that things fall down, you don’t try and prove it. What you do is you try to prove that things fall up, a negative hypothesis. You keep throwing it up and throwing it up and if you cannot get things to fall up, then by extension you have proven the negative hypothesis. That’s what business people do today. I don’t know if you’ve heard of “Steps to the Epiphany” before. Andrew: Yeah, by Steve Blank. Brian: It’s by Steve Blank, the lead startup. This, to me, goes right back to a business-model innovation or a business-model reinvention. When you look at that, what he says is that you get an idea for a product. Notice the idea, Step 1. The expression he uses is your product idea. Now that’s just an idea and he said, “An idea without data is just opinion.” Now you’ve got the idea, so then you say “All right, now let’s go out and disprove it.” I think this is a good idea for you. Brian: Yes. You, Andrew. This is a good idea, so I would come to you and say “Andrew, I put together this idea” and again, there’s a breakthrough concept, which is so important. The breakthrough concept is to write a description of your new idea. The description should be so mouthwatering that a person who reads the description is ready to give you money now for when the product is ready. You talk about Minimum Viable Product, the MVP. This idea of an MVP, which is a written description, is one of the great marketing ideas, because if you cannot sell it based on a great description, then you’re not going to sell it by building a prototype and setting up manufacturing. What you do, is you go not to prove, but to disprove and say, “Here it is. Would you buy it?” If the person says no, then you say “Well, then what would you buy?” What I do is I take all of these wonderful, little, genius insights, combine them all together and you help a person in business whose business is struggling or may be struggling. You help them look at their business with such great clarity that they become business-model innovators for their own business, so that’s my subject right now. Andrew: When you move, Brian, to work with one of these guys who come to you with an idea of how to spread your message out, how do you know that they’re going to do right by the content and that they’re going to oversell it or promise things that you can’t deliver with the content? How do you do quality assurance? Brian: Well, I put more than a million–maybe two million, because it’s hard to track–people through my video-based facilitated training programs. I started off with a single program. I reshot it and reshot it and rewrote it so that the version we have now is almost Hollywood quality. It’s beautifully shot in studios and beautifully edited. We started almost like a Steve Blank way. We started showing it to some groups in living rooms and the cost to produce it was $50,000, but it was worth going all in and people sat in living rooms. If you could get them together and say, “What do you think of this?” people loved this stuff. Pretty soon, more people loved it and they said, “But could you change this, make it better or change the lighting?” and so on. It started to expand just by word of mouth and I’m starting to improve it, so now there’s really no testing. People loved this program from the get go. Andrew: I see. A few years ago, I met these guys who were in Nevada, who were creating a multi-level marketing program for you. At the time, I thought they were working so close with Brian Tracy. They’ve got his name on this stuff. I see your eyes are opening wide. It turns out that they ended up not having anything. They were just putting together an idea that they wanted to present to you and then run with on their own, but they had some connection to you. You blessed at least the attempt. I always wondered, if they had all this latitude, what was your role in making sure that they didn’t promise too much in this multi-level marketing business? How do you do that? Brian: Okay, if you’re in business, you want to sell stuff. In this business, they were going to have a multi-level system where people paid a monthly amount and then they’d have unlimited access to me and my programs, 200 or 300 training programs, sales and management, personal success, time management, leadership and so in. Then they started to bring in other people who also had videos or they made videos for them, so you could sign up and pay a monthly amount and then you could take all the training you wanted on demand, just like buying a book from Amazon. My idea, in terms of training people in classrooms where people would come in, sit at desks, facilitated with exercises and discussion, this works, but people will not sit and watch video training. Some will, with Udemy, Coursera and things like that and they’ll take university programs, almost all of which are technical in nature and which you get certificates for and so on. It didn’t work, because individual MLMers would not sit by themselves to study a program. It seemed like a great idea and it seemed like a wonderful way for me to sell more of my already-produced programs, but it didn’t work. Andrew: Was this an idea you initiated? Brian: Somebody came up with the idea, but I had an enormous amount of contribution, because I had all the stock. They didn’t have any video training and I had all the video training. Also, my name was very helpful, because all the other speakers would contribute their video training. Andrew: Were you going to own the business? Brian: I just owned a part of it. I owned 25% of it. Andrew: I see. Wow! I’m surprised that you even remember what this was. I barely remember it. I just happened to meet these guys and was curious about what they were doing, because they mentioned your name. Brian: It was called I-Learning Global, like, Internet-Learning Global. It seemed like a great idea, but people will not sit as individuals, you or I, and learn from watching a video. Andrew: I don’t either. I don’t know why people will watch this video. I keep de-emphasizing the video. I think that the better way to learn something like this is through audio. Put it on your earphones and listen, or, if you do video, put it in the background and only bring the video up when I say something like “You just gave me a smile,” or “You gave me this expression.” That’s when I can understand someone going back and seeing what exactly happened there. Brian: I hate to point this out to you, but there’s this little company called YouTube out there and they’ve got 36 million videos a day. Andrew: I know. I don’t get why people do videos. Brian: Seventy-six percent of all online learning is now video. People love video and they won’t listen. Andrew: You’re right. I might be an outlier, although I do learn a lot from YouTube. I had a new baby just a few weeks ago. I was watching videos on how to soothe babies. I’m the baby-soothing expert now, because of YouTube videos. Brian: That is great. That’s a wonderful thing about YouTube, because somebody who believes strongly in the subject will sit down and create a video and just make it available to everybody. Andrew: Yeah, it’s unbelievable. You’re doing really well for yourself. Why travel? This is what a lot of people who I told I was going to interview you said I should ask you. Why put in all this work? Why travel 150 days a year? Why get on a Skype call with me after getting back surgery? What are you doing it for? Why put yourself through all this? Brian: Well, I am very blessed. I say that every day. I love my work and I love the effect that it has on people. For instance, I just threw out a couple of one liners that may be helpful to some of your listeners and the one liner may be one liner that combines with something else. Drucker says “trends” and somebody else says “tip of the iceberg,” so the two ideas may come together, or business-model reinvention. This, to me, is one of the most important subjects. It’s literally life or death for a company to understand that whatever business model you have is becoming obsolete. My friend, Dan Kennedy, had this one liner 25 years ago. This one liner was “Whatever marketing system you are using today; it will soon become obsolete and will stop working. You may know why and you may not know why, but it is 100% guaranteed it will stop working, you had better be ready with your next miracle.” Do you know that is such an incredible insight? What people do is if the marketing model stops working, they put more money into it. They start to spend more money and they start to try to do it differently. I have a thing called Brian’s First Law of Horses. I say that Brian’s First Law of Horses is if the horse is dead; get off. Andrew: That’s something that’s going to stick with people and that’s why you do it. If you have this one message with a sticky sentence that people will remember and have impact on their life; that’s why you do it. It’s worth having that kind of impact on their lives. Brian: Yeah. I started, not just for the first time, but I have four grown children, so I take them with me on an international trip each year. I also take my wife on two trips. I took my daughter, who is 24 and from Los Angeles, all around the world to Los Angeles. We went over the Pacific and all over Southeast Asia and Korea. Andrew: Around the world, you and your daughter. Andrew: Seventeen days? Do you get to see the world when you do it that fast? Brian: Well, not that much. I don’t go on vacation trips. I have working trips, so when I’m traveling like that, I work. I work and travel, work and travel. Andrew: With your daughter are you working or are you traveling? Andrew: You’re working and traveling with her. Brian: This is a work trip. There’s no vacation. Andrew: I saw on your map that you went to Ljubljana. It’s such a beautiful city. The café culture around . . . I don’t even know what that body of water is . . . is beautiful. I happened to be there for a day and I thought, “Oh, Brian must really get to enjoy it before and after his presentation,” but there’s no way. You had another one the next day. Brian: Are you talking about Slovenia? Andrew: I think so, yes. Brian: Then it’s in what used to be Yugoslavia. Andrew: Yeah, my wife and I went to the former Yugoslavia to look at all the different countries that popped up afterwards. We did not expect this to be a city that was worth seeing. We just happened to need to go there on our way back to the airport. We were backpacking and I fell in love with the café culture. I fell in love with the beauty of it. I fell in love with the little . . . they had dried apples that I couldn’t get enough of. I would love to go back and when I saw that you went there, I for a second lived vicariously through you and then I said, “Brian couldn’t be there enough to fully experience even the little bit that I did,” because you were working. I imagine you were in the hotel room working or resting. Brian: I’ve been there a dozen times. I’ve spoken in several places in Ljubljana over the years, so sometimes I’ll have a day. Andrew: But that’s it and then you’re on the plane and ready to go to Kazakhstan [inaudible 00:59:53] or Moldova. Brian: Moldova actually is more charming than Ljubljana. Brian: It’s unbelievable with the narrow streets, cobblestone and lovely people. Prague is another example. Hungary is just unbelievable. Andrew: You are getting to explore it. When you travel to speak, you get to look around too. Brian: From the airport to the hotel. Andrew: That’s it? You don’t get burned out on that? Brian: No. In September I took my wife and we went down the Danube from Regensburg and Nuremberg all the way down to Budapest; several hundred miles, stopping at Vienna and stopping at other cities along the way, but a vacation trip is separate from a work trip. Andrew: I see and when you do vacation, you do get to look around and experience and do you go first class the whole way? Brian: It varies. Usually, because I have so many miles I can travel first class, especially over the water. In Europe, I travel business class, but from Frankfurt to Los Angeles and Los Angeles to Singapore, very often it’s first class. Andrew: Okay. Well, congratulations. I’ve been watching you for years. I’d say even decades. I think one of your CDs was about How to Live to Be 100 or something. Was that what it was called? Brian: Yeah and that is an example. I say “What would be a subject that could really help a lot of people?” and then I’d been reading on this subject all my life, so I created a series of 21s. I think there are about 19 21s and each are about one hour long. It’s called “The Great Way Series: 21 Great Ways to Live to be 100.” I just put together all the ways that you know and I know and I explain how to incorporate them into your lifestyle, like diet, exercise, sleep, meditation, goals and positive mental attitude. You may think it’s pretty simple stuff, but when you condense them all into 21 great ideas in one hour, that makes it really rich; like a nutritious mental snack. Andrew: Now we’ve three more decades of doing interviews. This will be the first of several, let’s say. Thank you so much for doing this. Thank you all for being a part of it. Do you have that book? Do you want to hold it up so that they can see it? I’ve got it on my computer. There it is. Brian: For people who are reading this book, this should be a foundation book for life. Andrew: “Master Your Time, Master Your Life.” One section that I highlighted was where you said, “Decide exactly what you want.” Most people never do this. “Be specific. Your goals should be so clear that you could explain them to a six-year-old child and a six-year-old child could then in turn explain them to another six-year-old child and in addition, the child should be able to tell you how close you are to your goals, because your goals are that clear and simple.” That’s the thing that I highlighted. I don’t think anyone else in the book highlighted that. I can tell on the Kindle version what people highlight. To me, I think that’s the most powerful part. That’s the part that stuck with me. Brian: That is really good when you think about it. You know where that came from is if you ask a room full of people, “How many people here have goals?” they’ll all raise their hands, but we know that only three percent of people have goals. You say, “How can that possibly be?” Then we realize we don’t have goals, we just have wishes or fantasies, or “The reason I want to be rich, I want to be happy or I want to be thin,” but these are not goals. That’s like saying “I want to go out driving and find the perfect restaurant” and get in your car and just setting off. We’ve had a good time. It’s been a pleasure talking to you, Andrew. Andrew: Thank you so much for doing this. Bye, everyone.